Global food retailer Carrefour, ShopRite parent Wakefern Food Corp. and grocery group purchasing organization Topco Associates have joined the IBM Food Trust network, a blockchain-based cloud service aimed at promoting food safety. IBM said Monday that the network is now generally available after 18 months of testing. The IT giant said the pilot phase saw millions of food products tracked by retailers and suppliers, including Walmart, The Kroger Co., Driscoll’s, Dole, Golden State Foods, McCormick and Co., McLane Co., Nestlé, Tyson Foods and Unilever. 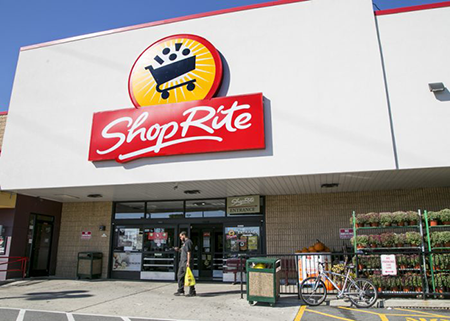 ShopRite parent Wakefern is one of the new retail members of the IBM Food Trust network. 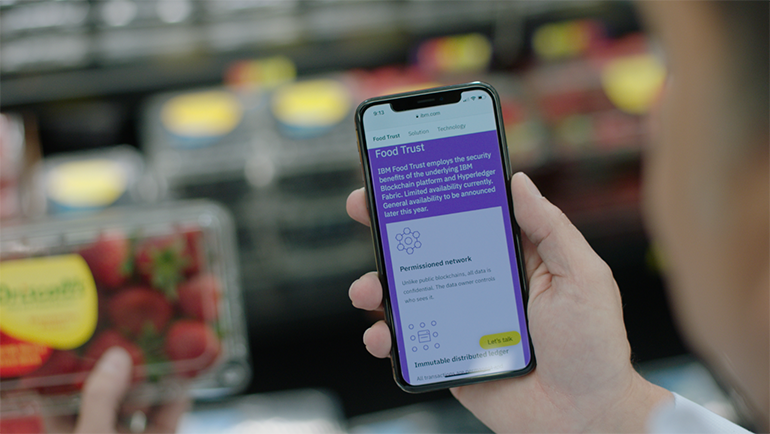 The IBM Food Trust is designed to make it easier for retailers, suppliers, growers and food industry providers to access data from across the food ecosystem, enabling better traceability, transparency and efficiency. IBM said the use of blockchain technology allows food to be traced back to its source in as soon as seconds — instead of days or weeks — and provides a higher level of trusted information versus traditional databases, since transactions are endorsed by multiple parties. Carrefour, which has over 12,000 stores in 33 countries, initially plans to use the IBM Food Trust network to highlight consumer confidence in certain own-brand products under the retailer’s Act for Food program. The French company is slated to use the solution for all Carrefour brands worldwide by 2022. "Being a founding member of the IBM Food Trust platform is a great opportunity for Carrefour to accelerate and widen the integration of blockchain technology to our products in order to provide our clients with safe and undoubted traceability," Laurent Vallée, general secretary of Carrefour, said in a statement. "This is a decisive step in the rollout of Act for Food, our global program of concrete initiatives in favor of the food transition." An interoperable system built on open standards, the IBM Food Trust employs a decentralized model to facilitate the sharing of food supply chain information — such as food origin details and processing data and shipping data — among members in a permissioned blockchain network. Each node on the blockchain is controlled by a separate entity, and all data on the blockchain is encrypted. Organizations uploading information continue to own the data, and the data owner is the only one that can provide permission for the information to be seen or shared. IBM noted that as the Food Trust ecosystem grows so will its efficacy. Keasbey, N.J.-based Wakefern, a retailer-owned cooperative, has 50 members and 349 stores, while Elk Grove Village, Ill.-based Topco represents 49 members and reaches over 15,000 stores and 65 million weekly customers. New suppliers for the network include BeefChain, Dennick Fruit Source, Scoular and Smithfield. "The currency of trust today is transparency, and achieving it in the area of food safety happens when responsibility is shared," according to Bridget van Kralingen, senior vice president for clients, platforms and blockchain at IBM Global Industries. "That collaborative approach is how the members of IBM Food Trust have shown blockchain can strengthen transparency and drive meaningful enhancements to food traceability. Ultimately, that provides business benefits for participants and a better and safer product for consumers." Late last month, Walmart announced the Walmart Food Traceability Initiative, a food safety program in which it will require suppliers of fresh leafy greens to use the IBM Food Trust blockchain network to capture digital, end-to-end traceability event information. Walmart and Sam’s Club are calling for these suppliers to be up and running on the network in about a year. "Blockchain holds the potential to help us be more transparent and transform how the food industry works by speeding up investigations into contaminated food, authenticating the origin of food, and providing insights about the conditions and pathway the food traveled to identify opportunities to maximize shelf life and reduce losses due to spoilage," commented Ed Treacy, vice president of supply chain efficiencies for the Produce Marketing Association. Along with furthering food safety, the IBM Food Trust network and solutions from its tech partners are focused on optimizing the food supply, IBM said. That includes unearthing insights on product freshness, cutting down on waste, and making the supply chain more collaborative and transparent. "The power of IBM Food Trust is in bringing together not only retailers and suppliers, but also the rest of the ecosystem touching our food supply," according to Natalie Dyenson, vice president of food safety and quality at Dole. "For example, Dole is working with Centricity, a grower-owned partner, to connect audit data to the blockchain by leveraging the Trellis framework as a standard for the produce industry, using existing formats and processes. By simplifying on-farm and front-office reporting and putting data on the blockchain, IBM Food Trust has helped Dole unlock the value of compliance data across our suppliers and partners in a cost-effective way." IBM added that the network includes compatibility with the GS1 standard used by much of the food industry to ensure interoperability for traceability systems. Subscribers can select from trace, certification and data entry/access modules, with pricing scaled for small, midsize and global businesses, starting at $100 per month. Suppliers can contribute data to the network at no cost.